Hi, I’m Anna! For the past 6 1/2 years I’ve been traveling across North America, exploring the country one city at a time. After visiting over 150 cities, I’ve decided that it is time to share some of my favorite adventures, finds, restaurants and more! A few weeks ago I was able to check 4 things off of my bucket list in 8 hours! 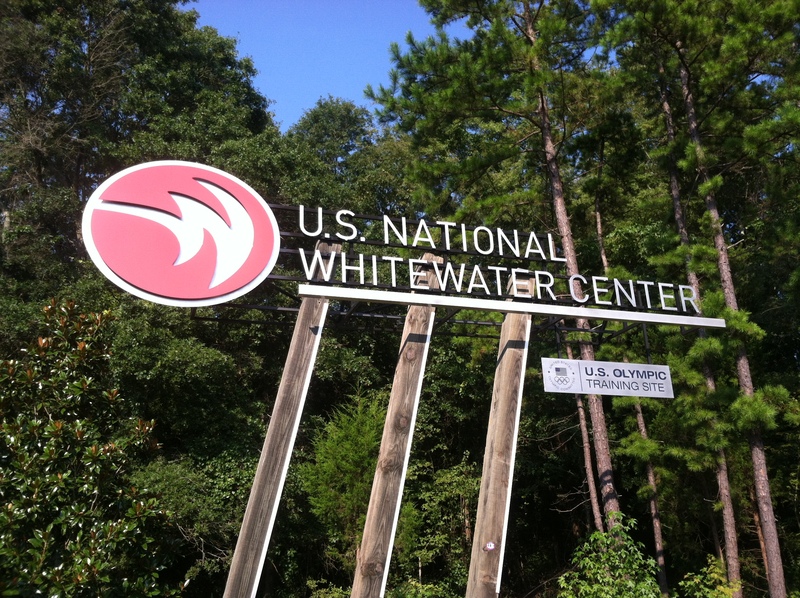 Where did I go, you might ask: to the U.S. National Whitewater Center! 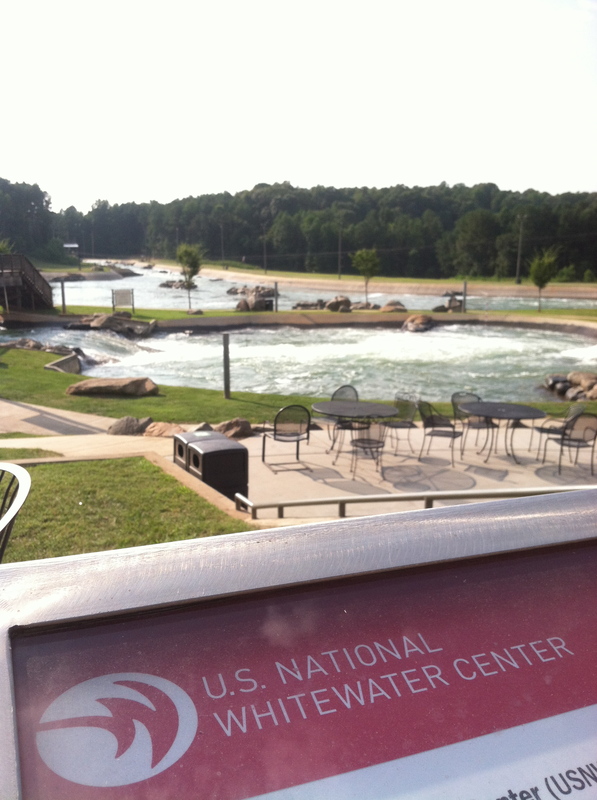 The U.S. National Whitewater Center in Charlotte, NC is unlike anywhere I’ve ever been. 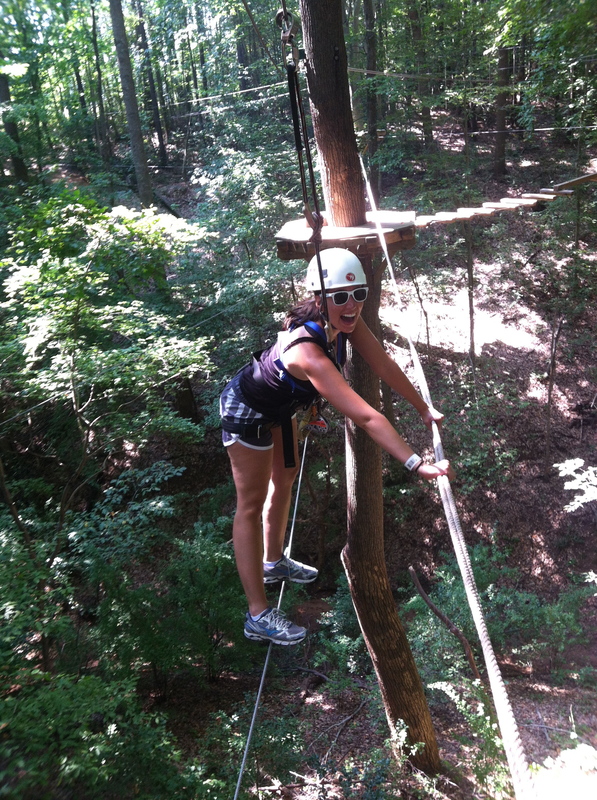 Sure there are places around that you can go zip-lining or white water rafting…but all in one place?! It was awesome! For a small fee, you can spend the day doing every adventurous thing you want. 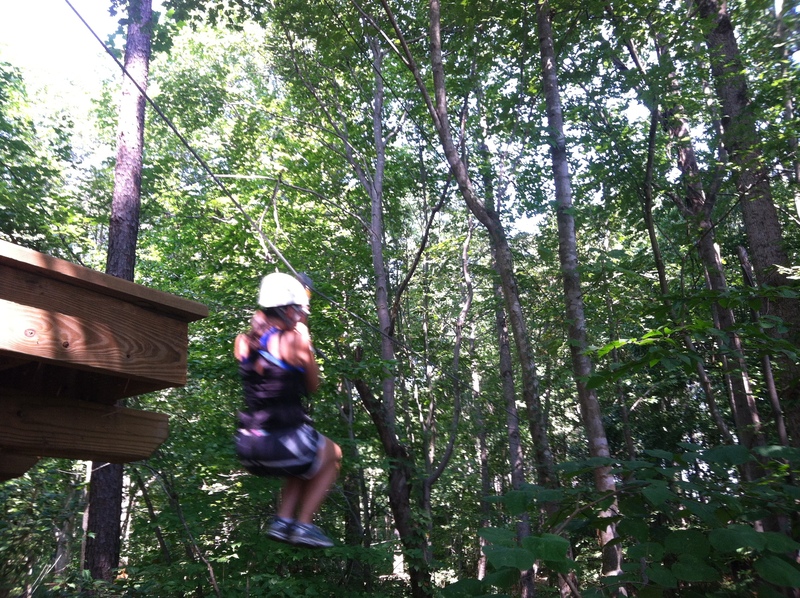 We started with The Mega Zip, a 1,123 foot zip line that launches from at 46 foot tall tower. 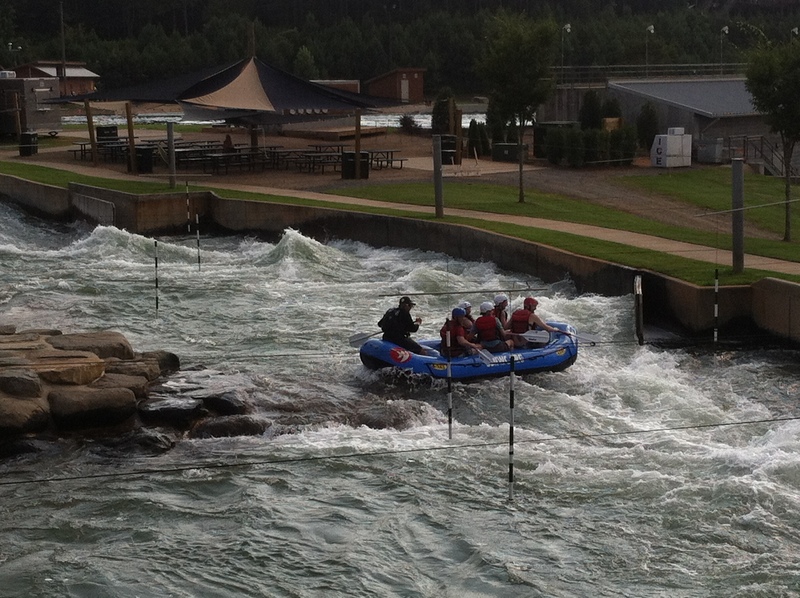 It takes you over the whitewater rapids and you can go with up to 3 others at the same time. After doing the mega zip a few times, and the mega jump (jump straight down off of the 46 foot tall tower) we headed over to the obstacle courses. 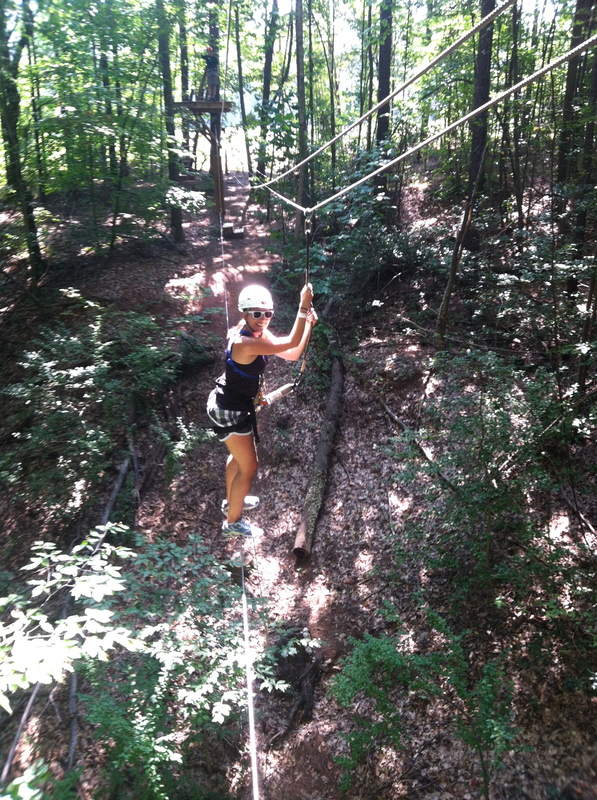 We tried the Canyon Zip, Climb 2 Zip, Double Cross and Canyon Spur. The employees hook your harness up to the rope (let be safe folks) and you figure out the rest. Once you finish your challenges, you get to zip back to the beginning. It’s a little nerve racking at first, but once you get the hang of it, its actually really fun. 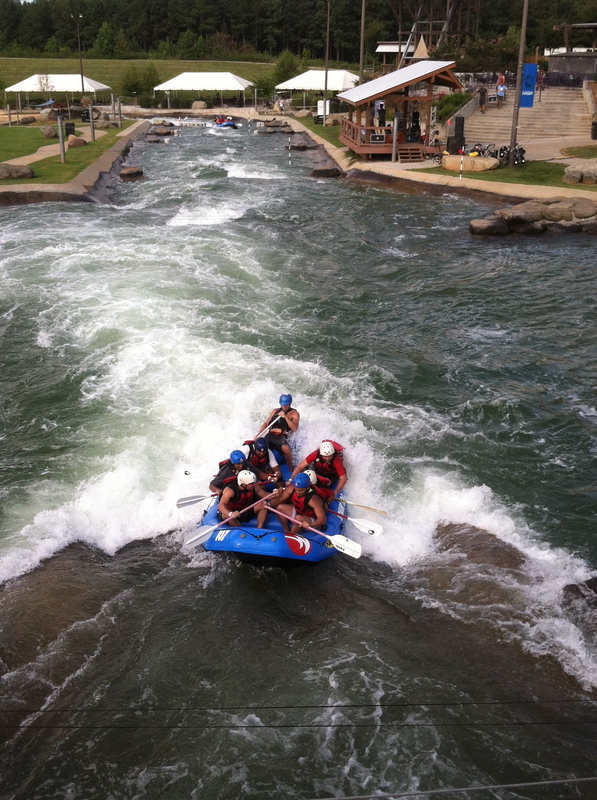 Next on the schedule was our white water rafting experience. We watched the safety videos, got our gear and headed out to the rafts. We were paired up with a group of male engineers playing hookey from work that made our ride very fun. Our trusty guide lead us over the first part of the rapids: great ride; part II, more adventurous rapids: ditto, successful. Then we did it all again for a second time. Here come the rapids, so far so good, then our guide decides to unsuccessfully “surf” the waves and not only flips the entire raft but throws everyone out of the raft, including himself. I guess the safety video really was worth watching. Since we were already soaked, our next adventure for the day was over to the river to try Stand-up Paddleboarding. I’ve always wanted to try this and had already prepared myself that I’d be falling in the water knowing my coordination skills. Surprisingly I didn’t fall over at all, not once! (It could have been my fear of fish that kept me up, but I’m going to go with my awesome coordination skills!) I really enjoyed how peaceful the water was and was surprised how hard it is to paddle against the current. Darn you fast kayakers! My next goal is to try a stand-up paddleboard yoga class…in a pool or non fish waters, of course. 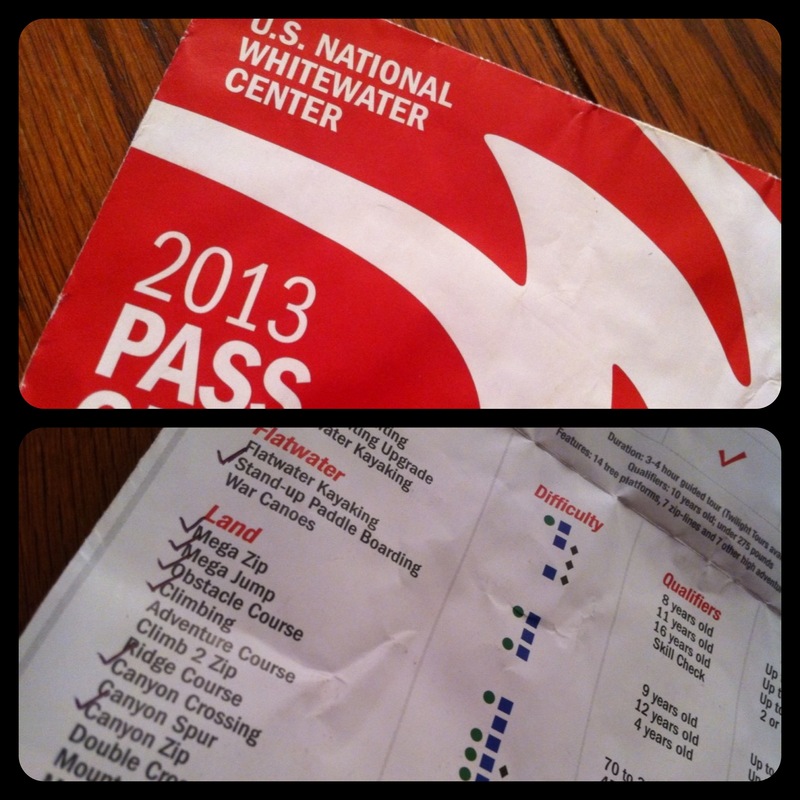 We headed back to the white water area again and did the runs for a second time. Our group wasn’t as fun as the first bunch, but we still enjoyed it and didn’t even flip the raft! 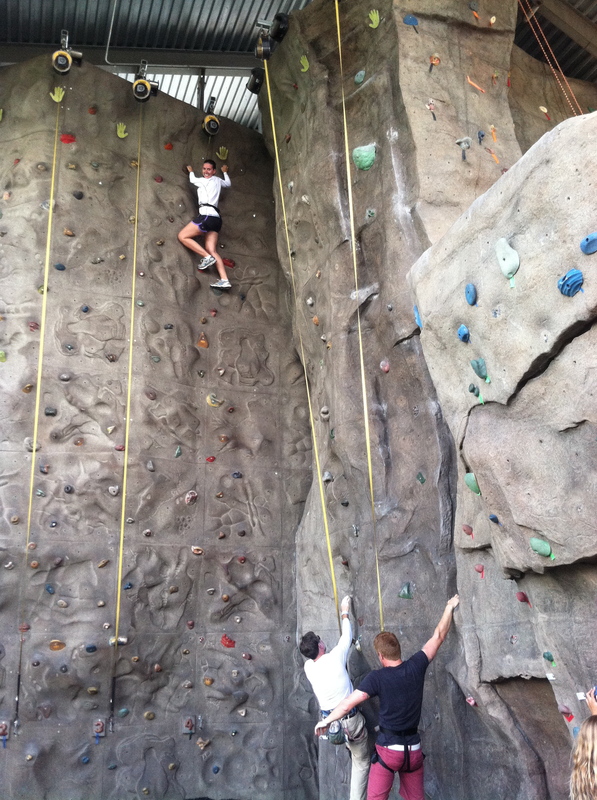 We managed to do the rock climbing wall a few times before leaving, one more check off the bucket list. 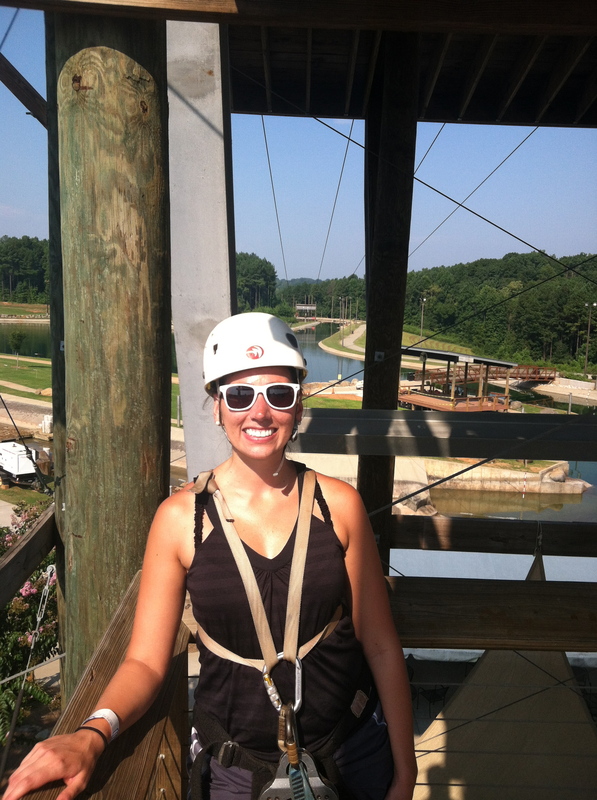 All in all, we had a VERY successful day at the Whitewater Center. I’m sure we would’ve stayed longer if we could have, but no, had to get to work…boo. That darn show’s always getting in the way of fun time. I have been working out a lot this city (Dallas), running at least 3, 4 even 5 miles every day. Why am I doing this? Am I trying to lose weight? No, well sure, that’d be nice, but it’s not the main reason. Am I training for another marathon? Heck no. Am I trying to burn off all of the fried foods I’ve been forced to enjoy at The Texas State Fair? Bingo! 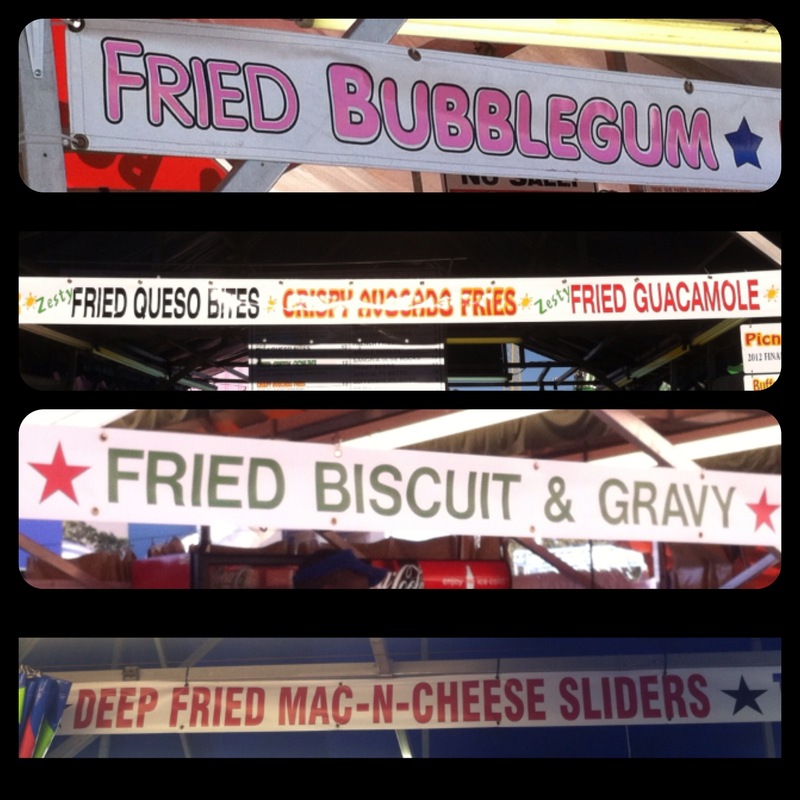 Sure, working on the Texas State Fair fairgrounds has its perks; for example, you get to attend the fair everyday (whether you want to or not). Another bonus, you know exactly where to go to get free ice cream cones and 5-hour energy samples. 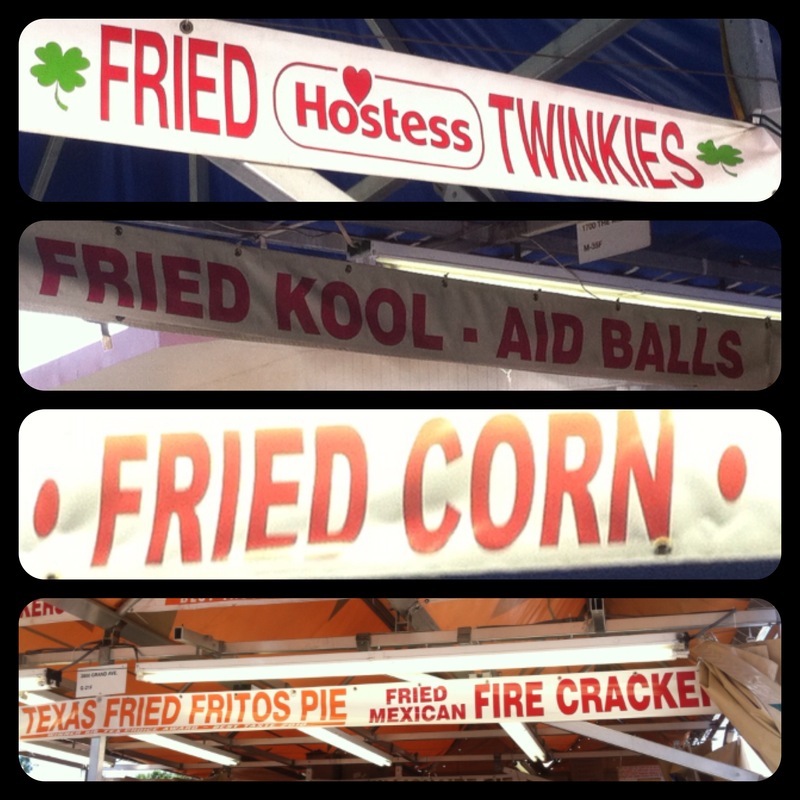 But most importantly, you get to try any and every fried food you’ve ever imagined. Perk! 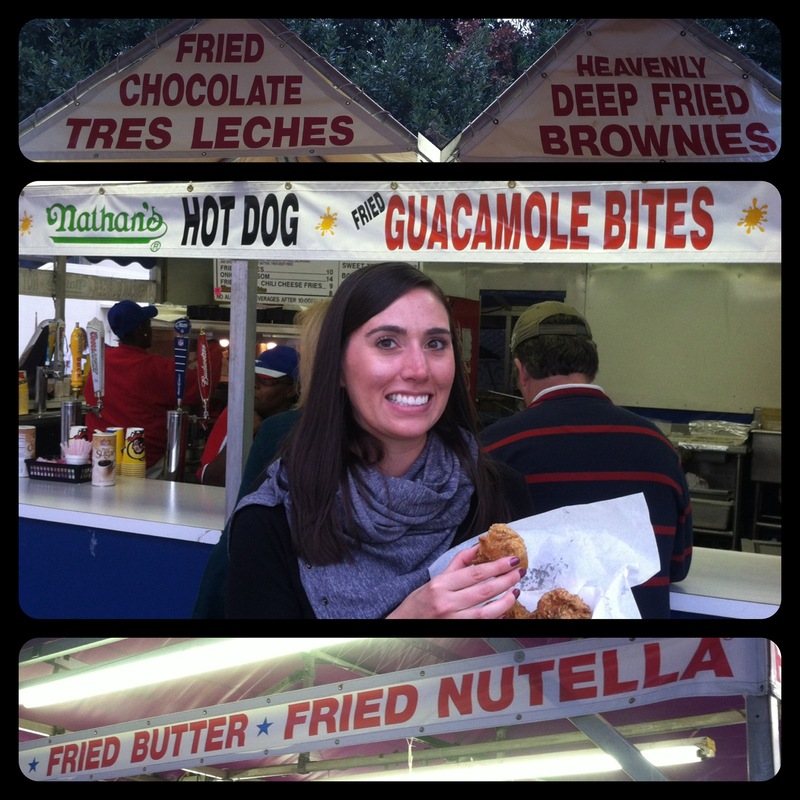 The Texas State fairgrounds are huge (thank goodness, I guess-more miles to burn off all those fried food calories) and after 3 weeks of fair going, I feel like I’ve memorized the entire park…..including all of the booths with the fried goodies. I’m not even exaggerating when I say this. 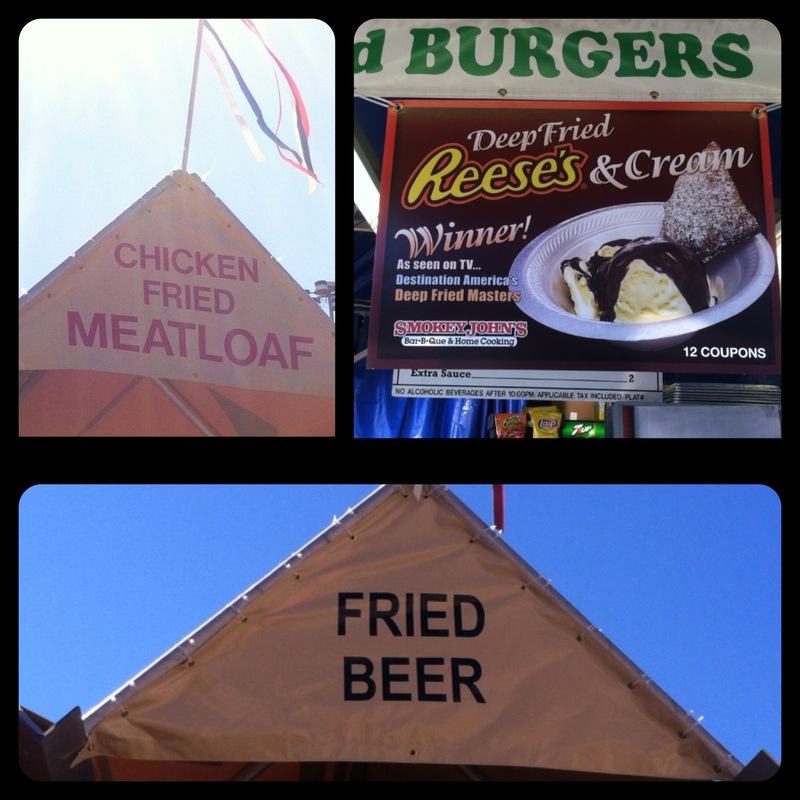 They have it all: deep fried beer, deep fried spaghetti and meatballs, deep fried bubblegum, deep fried pina coladas, deep fried pizza and of course, the famous deep fried butter (Oprah, anyone?). 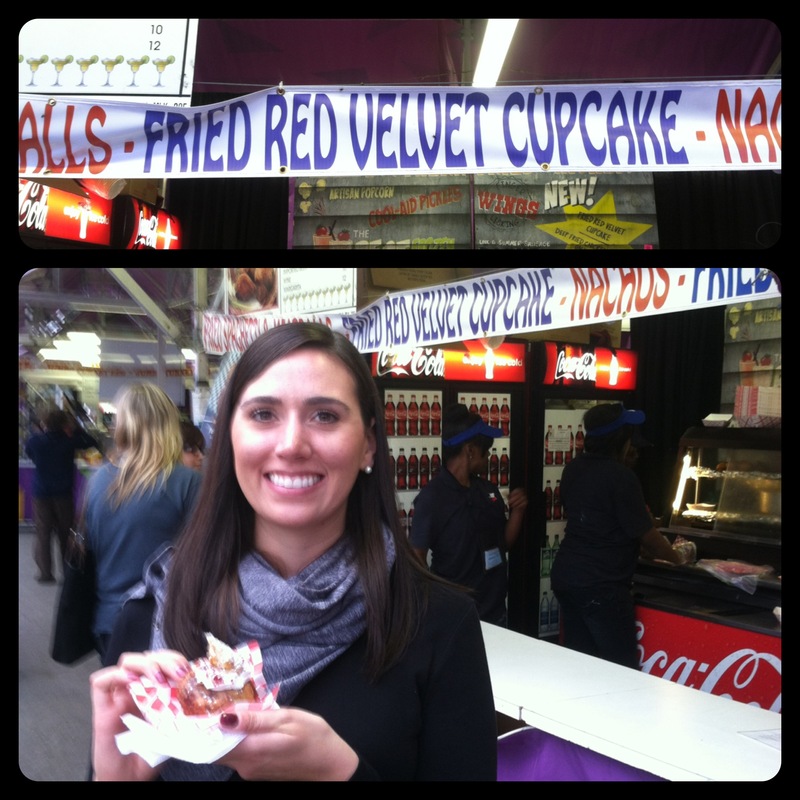 My favorite fried treat at the fair was the Deep Fried Red Velvet Cupcake, yes, you’ve read that correctly…..I ate a cupcake that was deep fried….and loved every minute of it. 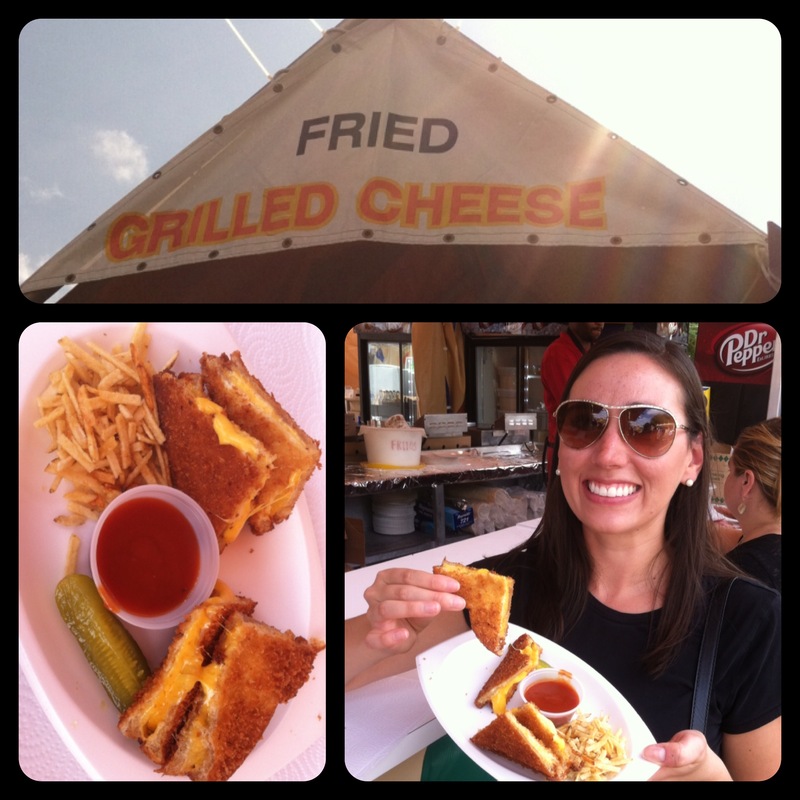 Runners up include Deep Fried Grilled Cheese, Deep Fried Guacamole, and Deep Fried S’mores. 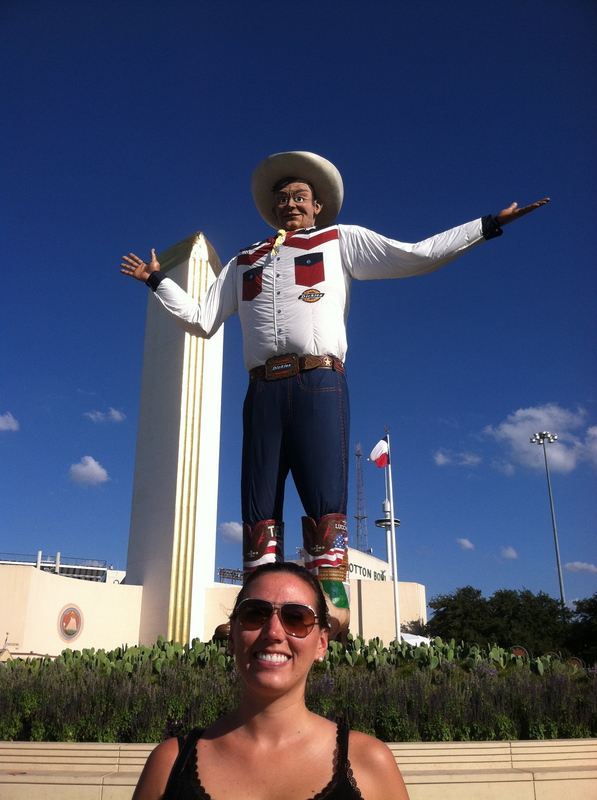 -Big Tex: The 55 foot tall talking statue. He’s new and improved this year after catching on fire in 2012. 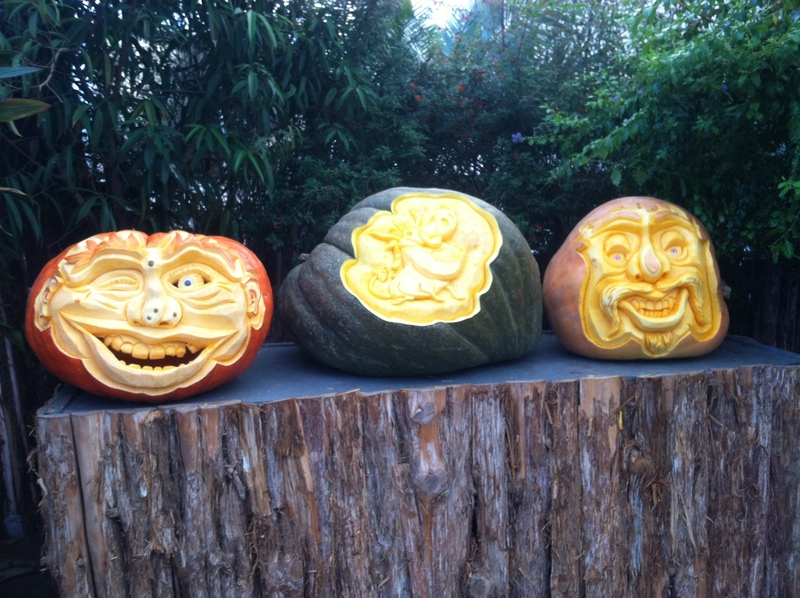 -Exhibits galore: If you’re in need of a mattress, Vitamix or wood carving, then the Texas State Fair is where you should be shopping. 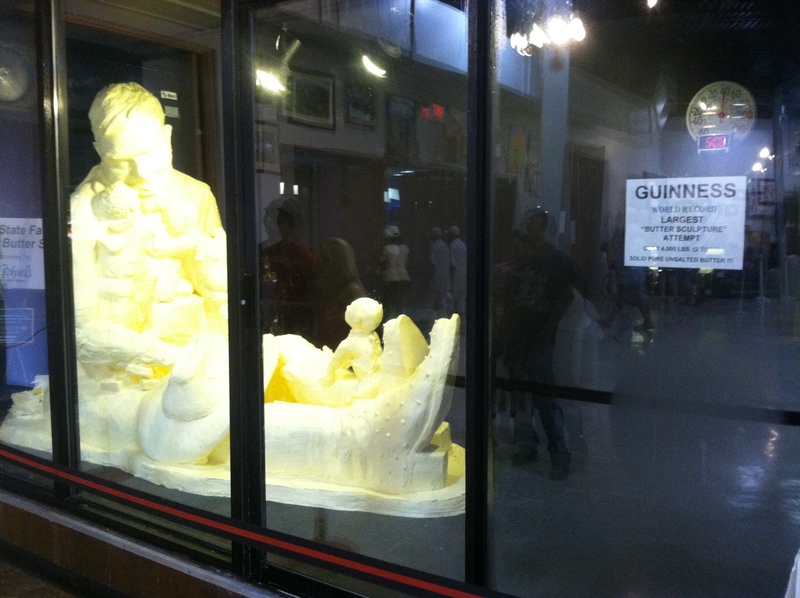 -Butter Sculpture: This year’s sculpture, made out of 4,000 pounds of butter, is a cowboy with kids climbing on him. -Auto show: You’re basically visiting an enormous indoor car dealership…..with thousands of others. 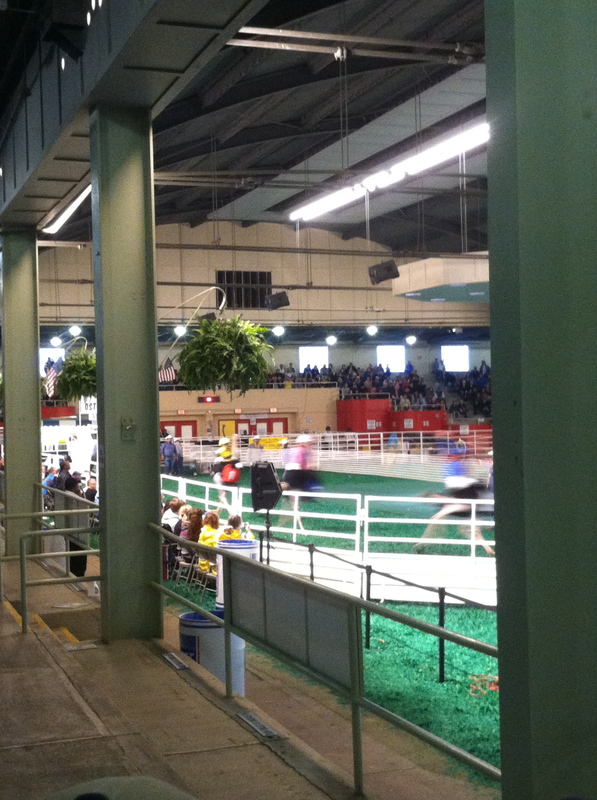 -Ostrich and Pig races: It’s a thing, they race and the crowd goes nuts. The ostriches even have jockeys that ride them, sad but true. -Lottery Booth: For only $10, you can waste 3 minutes of your life scratching off loosing tickets here….you do get a free bag, so there ya go. -Cotton Bowl: If you’re really lucky, you’ll be one of the 87,000 fans attending the big football game (OU vs Texas) at the already busy fair. Go team! -Test Drive Track: The best part about this, besides the free t-shirt at the end, was getting to do the breathalyzer. It was a first for me, and since I passed, I was allowed to drive an……Impala, yippee!? 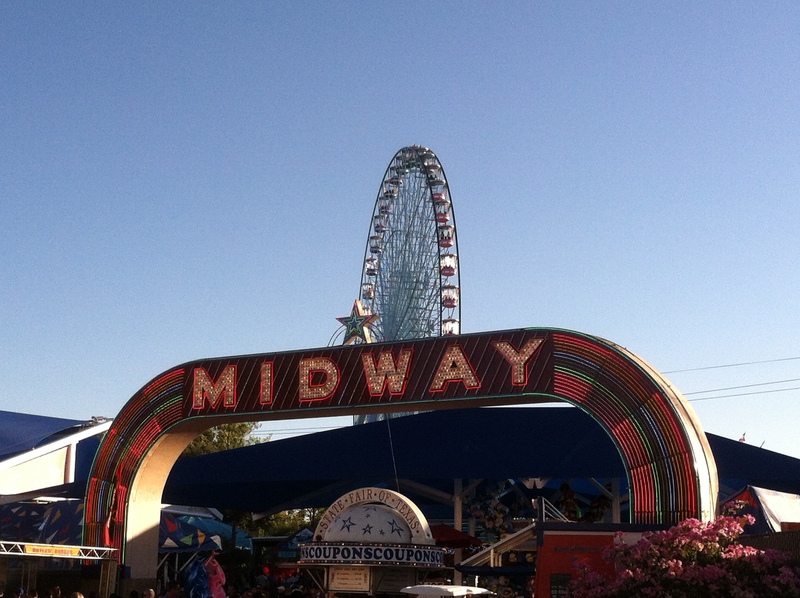 Midway: Rides and games galore! So many “Texas-sized” stuffed animal prizes bigger than the children carrying them can be found in this area. -Concerts: Throughout the park at various stages different artists (I’ve only heard of two on the list) perform for fair goers. Animals: If you’re into seeing/smelling pigs, sheep and cows then you’d enjoy the livestock buildings. I, however, did not (sorry dad). Flow Rider: Bring your swimsuit and board, and try to catch a wave on the one and only water ride at the fair. 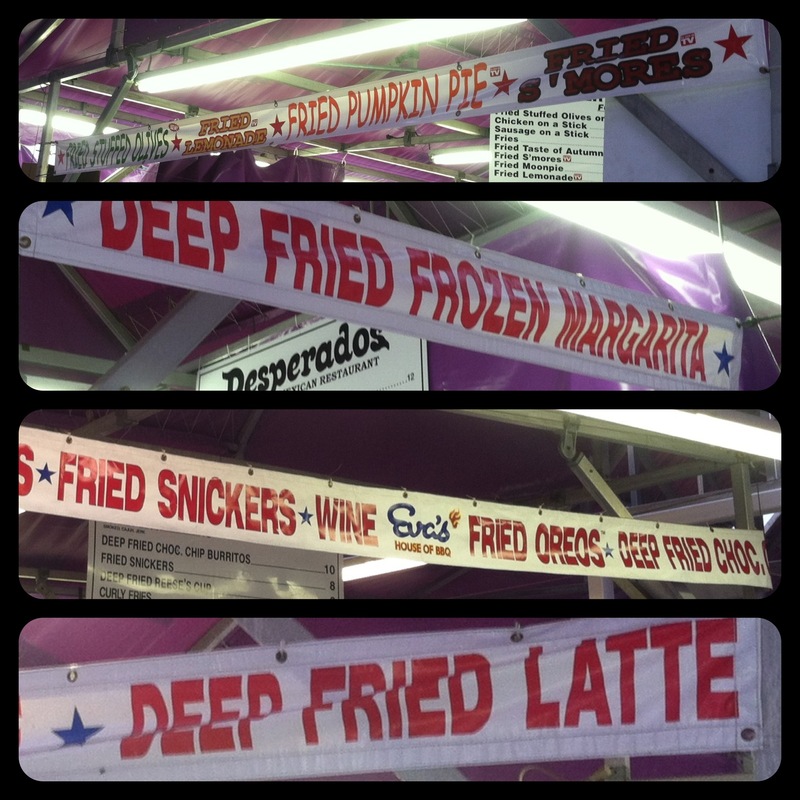 Wine Garden: That’s right, keepin’ it classy at the fair. Let’s be honest, those beer lines were extremely long. Plastiki: This was actually pretty cool to see. 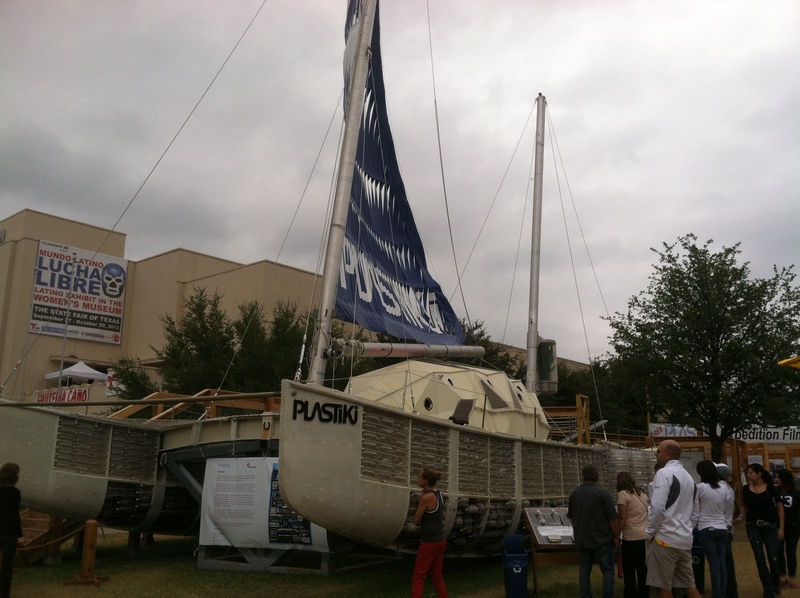 The boat is made out of plastic bottles and just returned from a trip across the pacific from San Francisco to Australia. 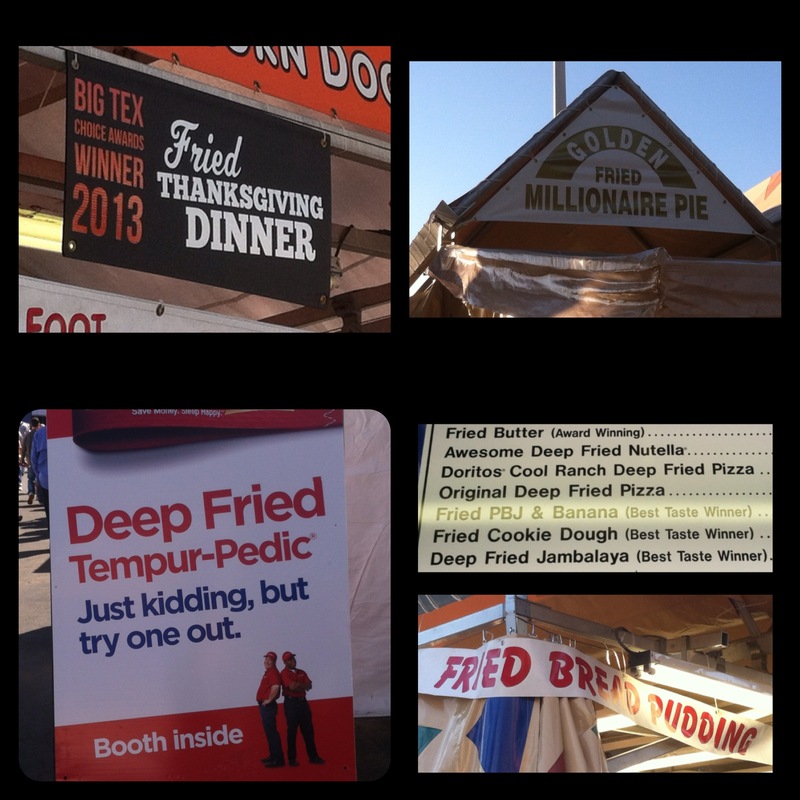 Now for those of you who are still reading (thanks mom and dad), here are a few Texas State Fair facts to enjoy! 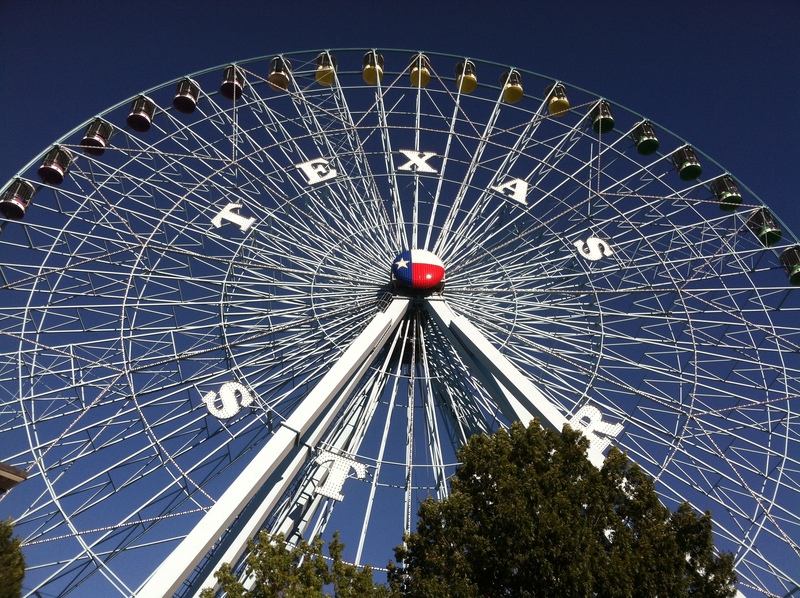 -The State fair has been held at Dallas Fair Park since 1886! -Roughly 3 million visitors attend the fair during its 24 day run (and yes, if you’re curious, parking and traffic were a nightmare). 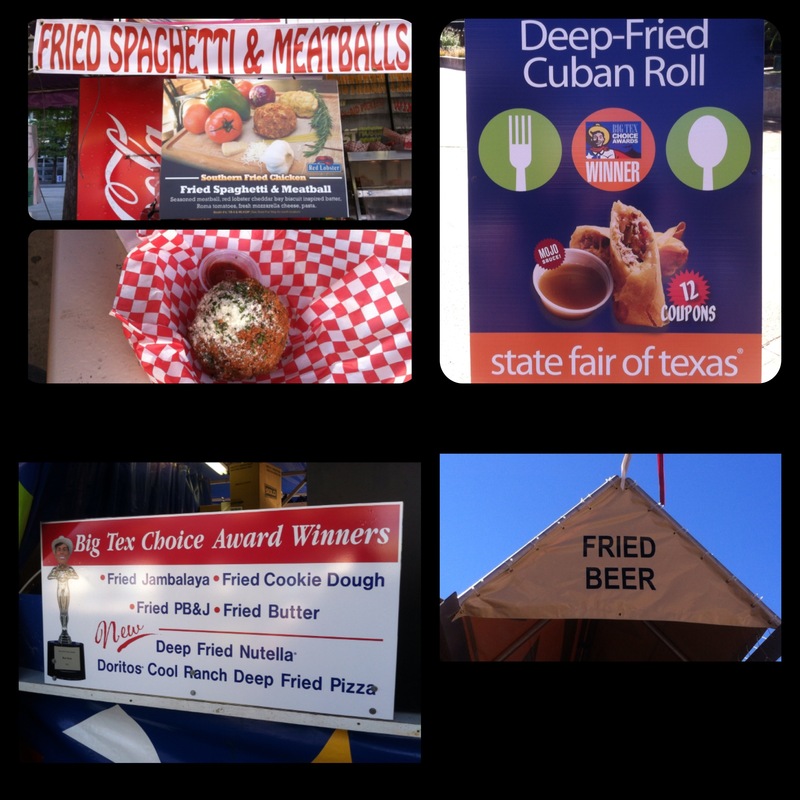 -State fair of Texas has the highest number of visitors of all the state fairs in the United States. I went to church last night. 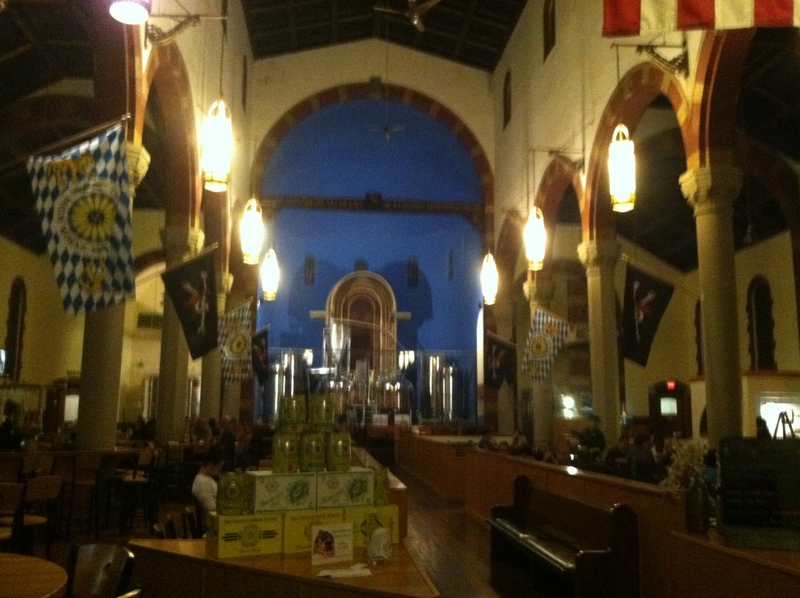 It was a beautiful, big church with lots of stained glass, a large pipe organ, comfy pews and beer. Yes, beer! 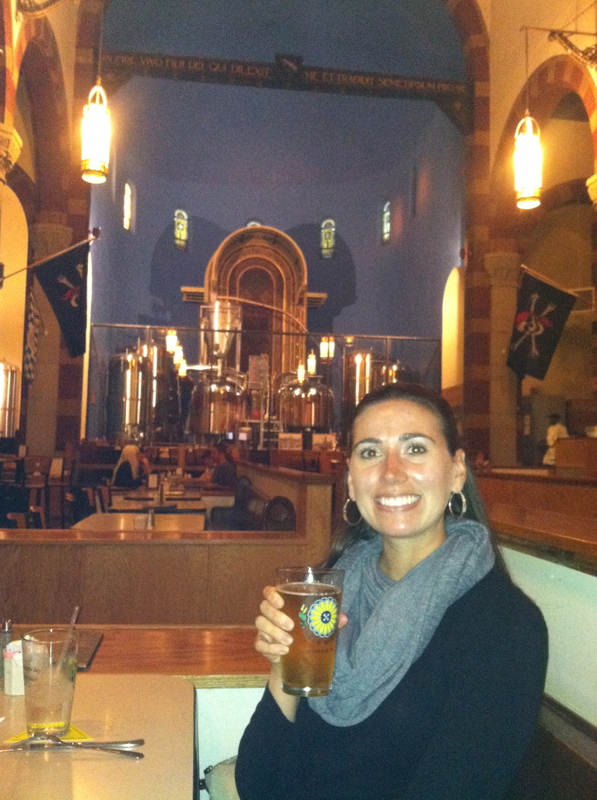 And not only was the beer one of the tastiest beers I’ve ever had, the food was amazing too! When you are walking up the stairs to the entrance, you feel like you are getting ready to sit through mass, not enjoy a wonderful meal. You pull open the huge wooden doors, pass the stoup in the wall (where the holy water once was held) and then you see the beautiful sanctuary. 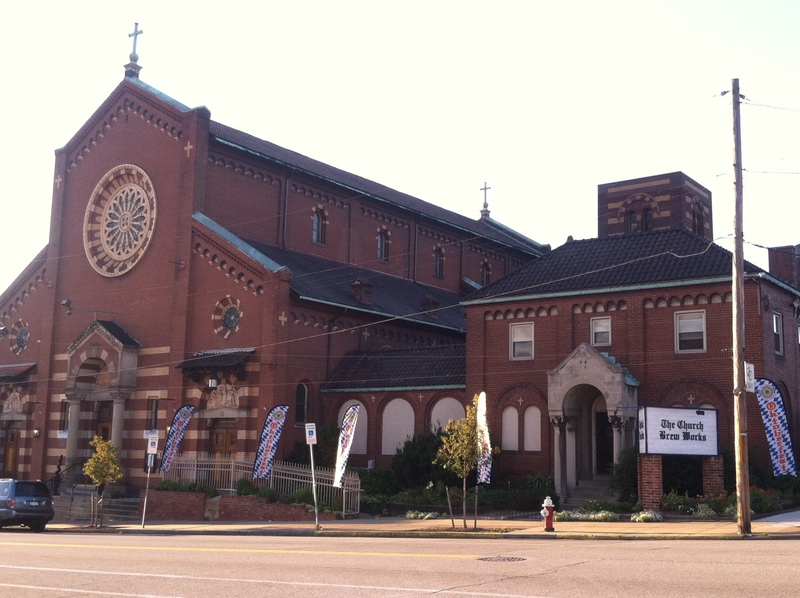 The pictures don’t do this gorgeous church justice. And the effort and attention to detail that went into the restoration of this place is very impressive. 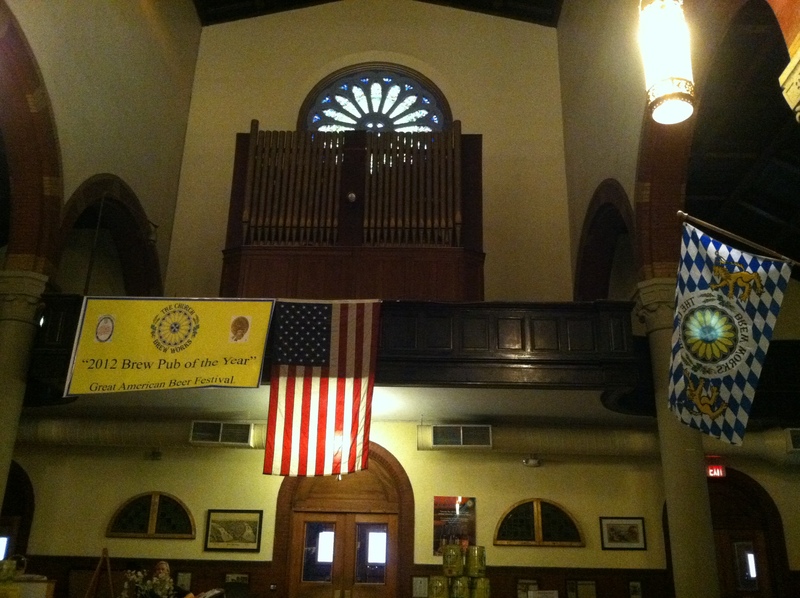 I learned that they used the original floors, pews, lanterns and the extra oak from the pews were turned into the bar. The beer menu is pretty impressive with more than a dozen choices, and I went with one of their Oktoberfest flavors, Toms Pepper Wit. It’s one of their seasonal beers made with real peppercorns that gives it the perfect bite without the spice. So good! 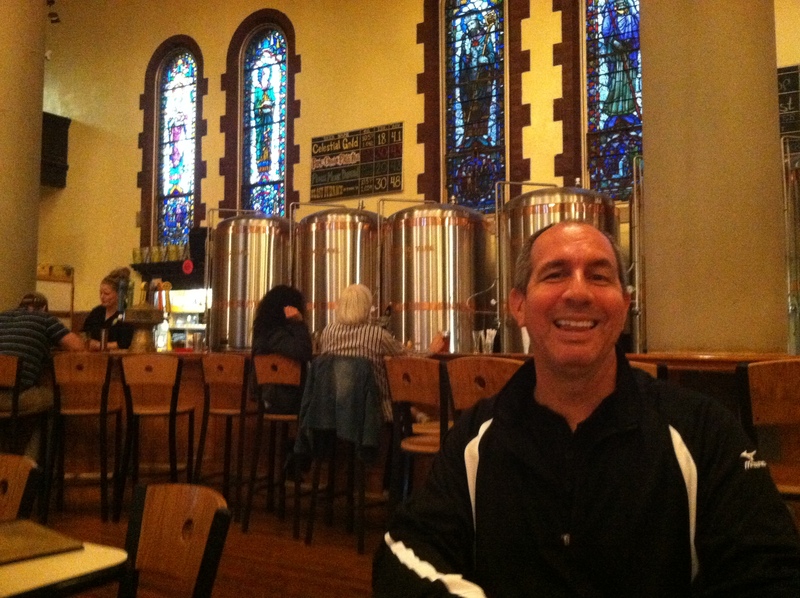 I was already sold on the atmosphere and beer, then the food came and it was delicious! 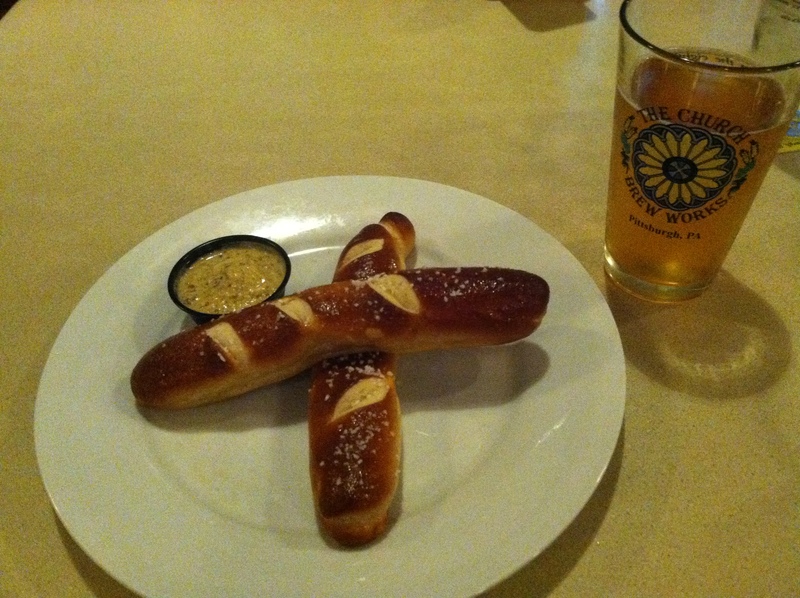 We ordered the Traditional Pierogies (I mean we’re in Pittsburgh, we had to) and Pretzels to start. The potato and cheese filled pierogies were so tasty that we inhaled them so fast and I didn’t even get a photo. Oops! As for the pretzels, they were some of the lightest pretzels I’ve ever had with the perfect amount of butter and salt on top. 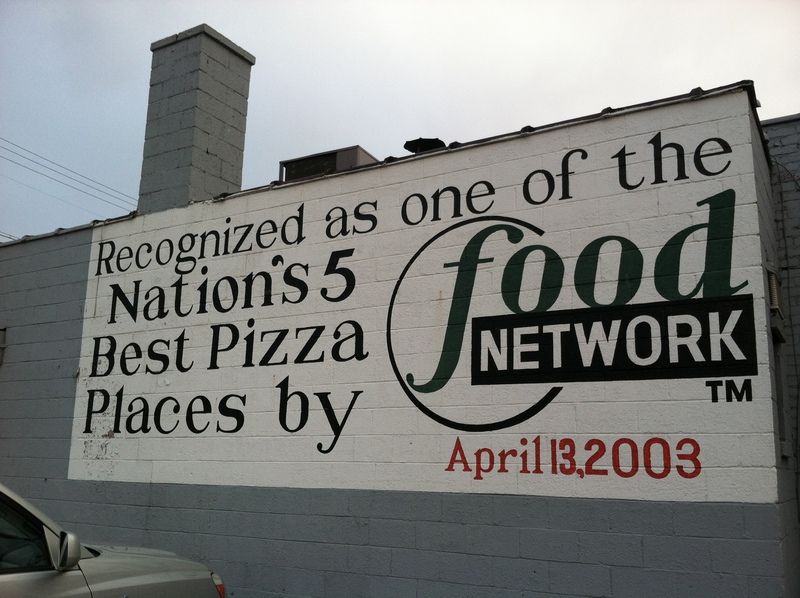 Did I mention they have a wood fired brick oven too? Well, they do and it sits near the altar popping out some awesome flavored pizzas with the perfect light and crispy crust. The food and beer alone are worth a visit but it’s such a fun vibe inside, very different from your typical bar or restaurant, that you’ll want to keep coming back for more! Amen! 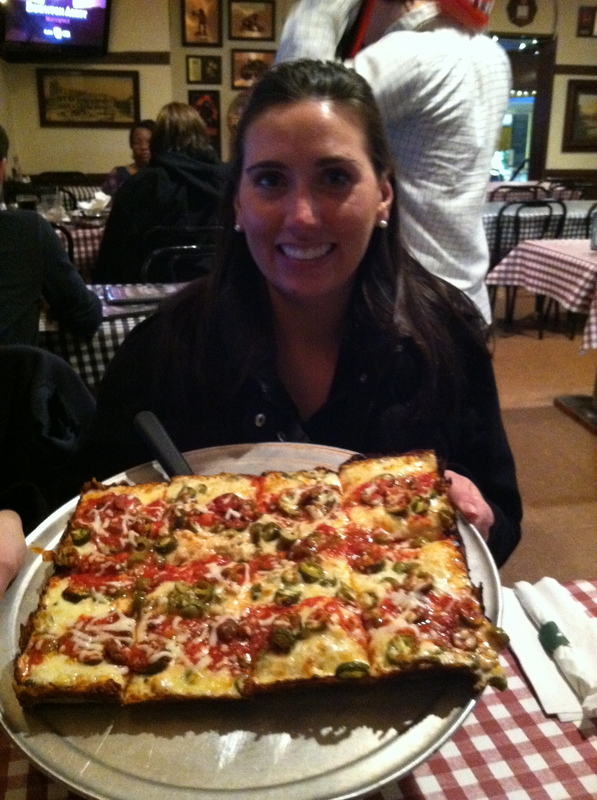 In February 2013, we headed to the chilly city of Detroit. 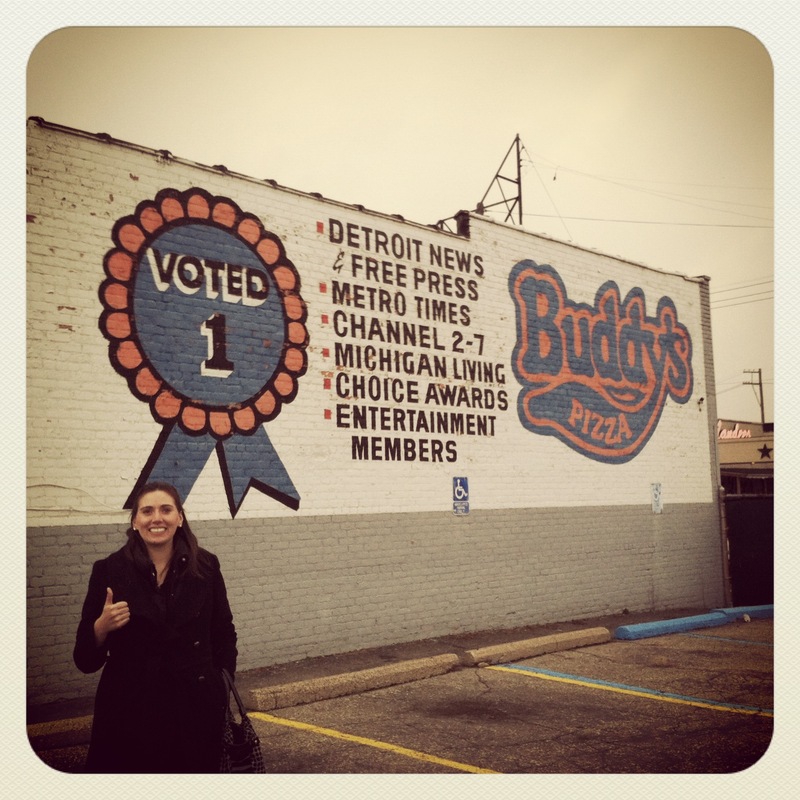 Looking for something to eat that would warm us up, we found Buddy’s Pizza. Buddy’s has been around for over 65 years and has been featured in many different magazines, newspapers and t.v. shows. We went to the original Buddy’s on the corner of Conant and Six Mile Roads and although it’s nothing fancy, the pizza was delicious. 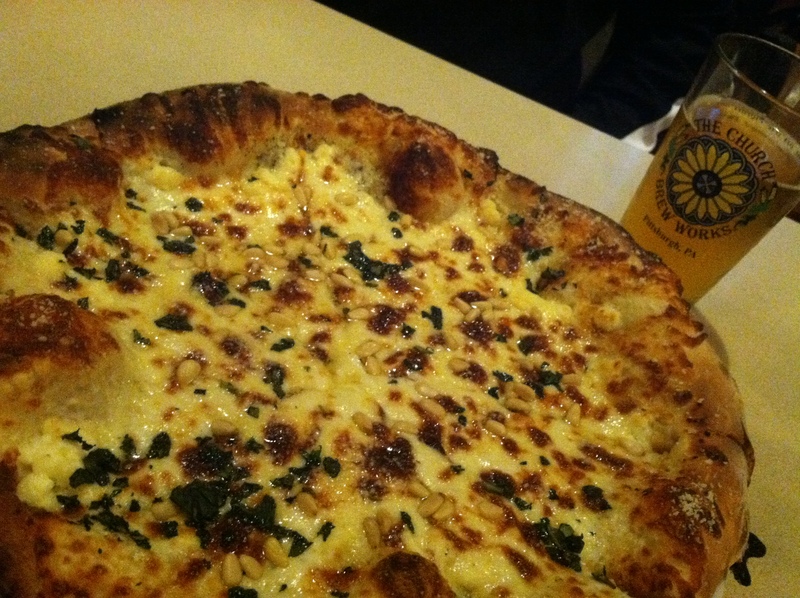 The deep buttery crust, and gooey cheese made it one tasty square pizza! They are very flexible with their menu too. No meat? Fine. Gluten free crust? Sure. Vegan cheese? No Problem. A few months ago, we headed to Minneapolis in the dead of winter. And in case you were wondering, January in Minnesota is cold. Very cold. So, where did we choose to eat at while we were visiting? Well, Izzy’s Ice Cream of course! One of the best things about eating ice cream when it’s 18 degrees out is that the line is pretty short! That turned out to be a great thing for us because we were able to try quite a few flavors. They had lots unique flavors, seasonal ones and the classics too. 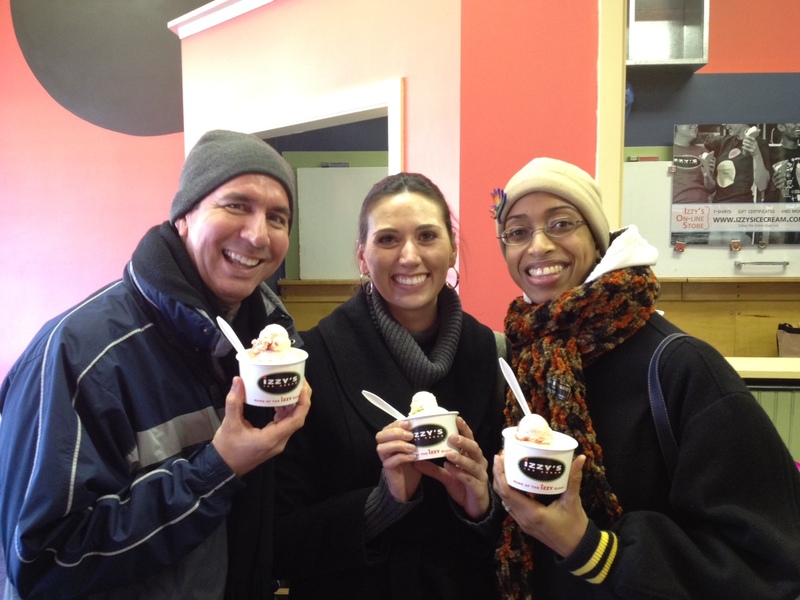 Izzy’s is constantly coming up with new flavors and it was fun trying different ones each of our visits! Check out that fun Izzy Scoop on top! 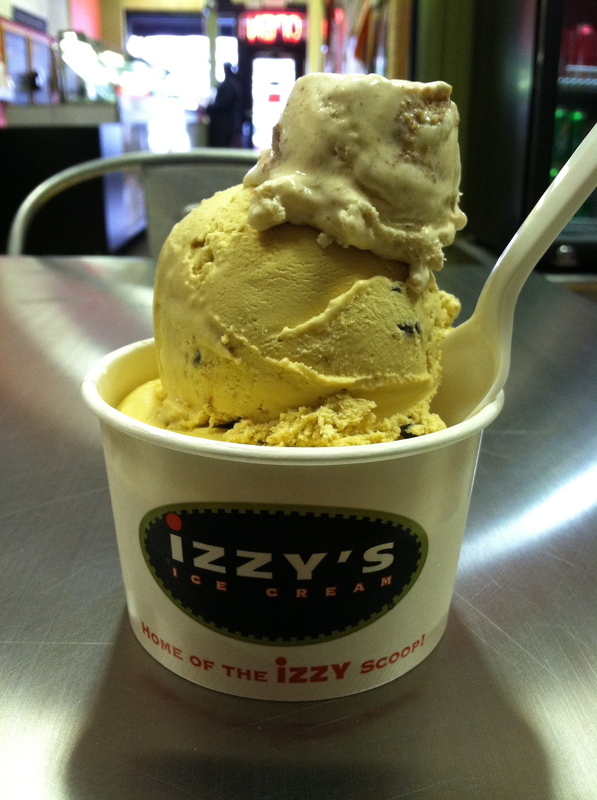 I can’t forget to mention the best part of Izzy’s…..it’s the “Izzy” scoop! It’s a little bonus scoop of ice cream that they put on top of your ice cream. Ice cream on top of ice cream, yes please!! 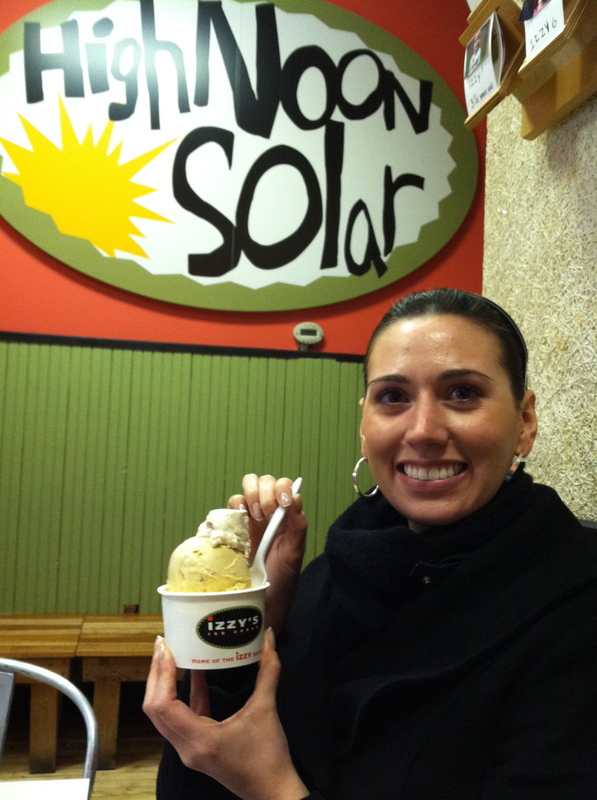 Something else that impressed me when visiting Izzy’s St. Paul location was how much they focus on green solar energy. Any business that goes above and beyond to cut their energy needs will have repeat business from me. If you are in the Twin City area, head on over for a tasty treat!